The Academy of St Martin in the Fields is one of the world’s premier chamber orchestras, renowned for fresh, brilliant interpretations of the world’s most-loved classical music. 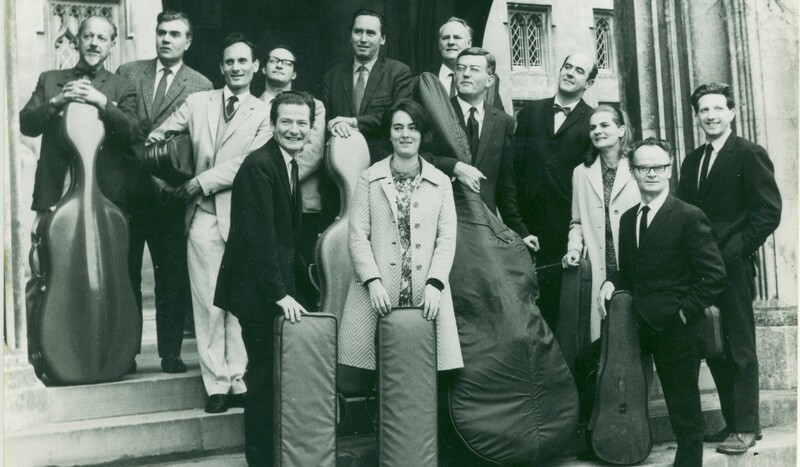 Formed by Sir Neville Marriner in 1958 from a group of leading London musicians, the Academy gave its first performance in its namesake church in November 1959. Through its live performances and vast recording output – highlights of which include the 1969 best-seller Vivaldi’s Four Seasons and the soundtrack to 1985’s Oscar-winning film Amadeus – the orchestra quickly gained an enviable international reputation for its distinctive, polished and refined sound. Today we are led artistically by our Music Director, virtuoso violinist Joshua Bell, retaining the collegiate spirit and flexibility of the original small, conductor-less ensemble which has become an Academy hallmark. Each year we work with some of the most talented soloists and directors in the classical music scene, performing symphonic repertoire and ‘chamber music on a grand scale’ at prestigious venues throughout the world, whilst expanding the Academy’s celebrated recording catalogue. Image above: The Academy in its early years.